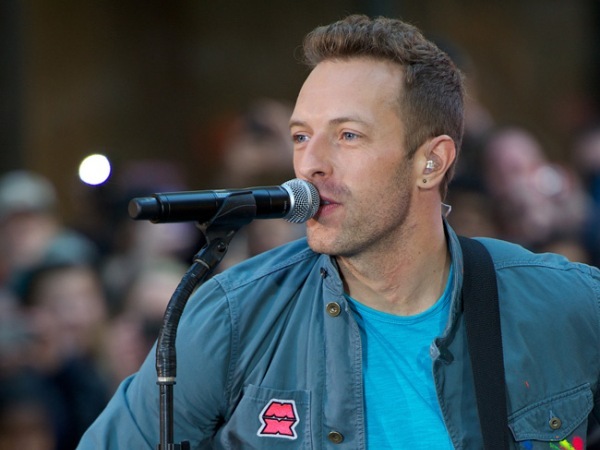 Coldplay frontman Chris Martin has joined The Voice USA as a special adviser to the contestants, assisting them with "vocal techniques and stage presence". Chris Martin has joined The Voice USA as a mentor. The Coldplay frontman will have a special advisory role on the show - which has Adam Levine, Shakira, Usher and Blake Shelton as coaches- and met with the contestants ahead of the Battles: Round Two stage of the contest to advise them on their performances. A post on Coldplay's twitter account read: "Chris is to work with @adamlevine @blakeshelton @usher & @shakira as a Key Adviser on this season's US #TheVoice. (sic)"
Network NBC, who aired the show, went on to explain Chris' role in more detail, revealing the Viva La Vida hitmaker helped the contestants with "vocal technique and stage presence". They said in a statement: "Martin advised each of the Battles: Round Two performers on vocal techniques, stage presence and the importance of tailoring songs to fit their persona and strengths." "These artists will continue to try and earn the support of their respective coaches, who will be forced to decide who will move on to the Playoff Rounds. Each coach will have the opportunity to strategically steal one more artist in this round."